Côtes de Duras is an Appellation d'Origine Contrôlée (aoc) for red and white wines in South West France. Côtes de Duras is located in the department of Lot-et-Garonne, and is located immediately adjacent to the Bordeaux wine region, which is restricted to the Gironde department, as an extension of Bordeaux immediately to the east of the departmental border. 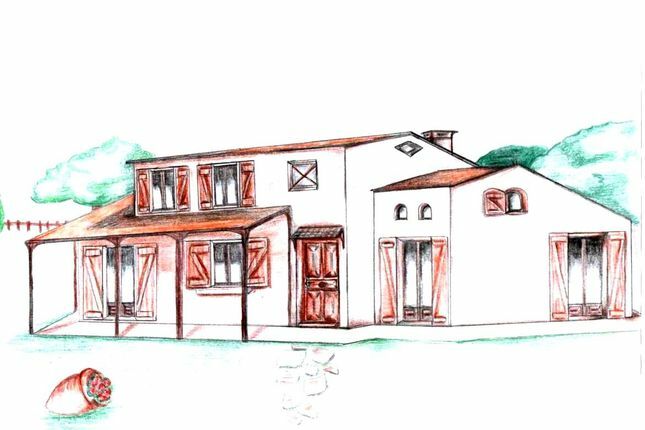 The plot of land is situated near Duras, on the edge of a small village, with views over the countryside and vines. We can offer a choice of styles and sizes. The surrounding countryside is a mixture and blend of both English and French, with gently rolling hills, green fields, woodland, vines and in Summer months blanketed in seas of bright yellow sunflowers. The house will be newly built, with your choice of internal specification and come with a builder’s Guarantee. Prices range from as little as £168,000 to £195,000. Why not come and discover the local area and view the plot in the village, we can help with finding accommodation and offer advice on flights. Property descriptions and related information displayed on this page, with the exclusion of Running Costs data, are marketing materials provided by Pennine Ways Ltd, and do not constitute property particulars. Please contact Pennine Ways Ltd for full details and further information. The Running Costs data displayed on this page are provided by PrimeLocation to give an indication of potential running costs based on various data sources. PrimeLocation does not warrant or accept any responsibility for the accuracy or completeness of the property descriptions, related information or Running Costs data provided here.